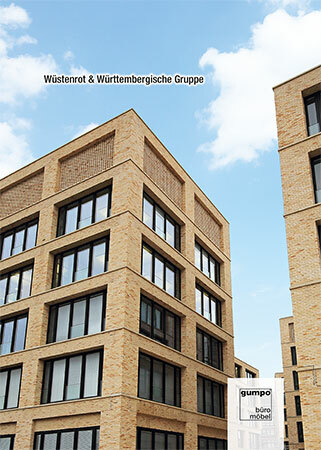 Wüstenrot & Württembergische is a major financial services provider which developed out of the traditional companies Wüstenrot and Württembergische. 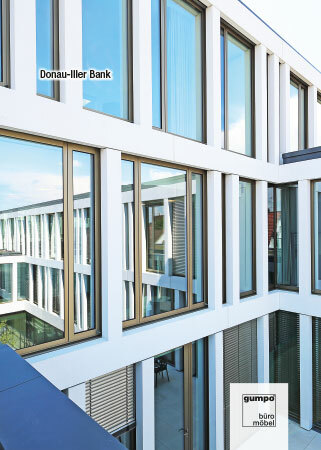 A modern building ensemble designed by the well-known architects Ortner & Ortner Baukunst was created in Ludwigsburg and is now the first common central business location in the company’s history: Seven courtyard houses form a group round a campus in which the complete common facilities are integrated. Restaurants and cafés, sport and leisure facilities as well as conference and training rooms can be reached by the shortest path. Following a remarkable design by the Ulm-based architect’s association Braunger Wörtz the new head office of the Donau-Iller Bank was built at the entrance to the town Ehingen; an impressive building complex with interconnected shifted storeys and an integrated atrium which extends over two levels. The interiors are light flooded and friendly, external surfaces and green spaces are an essential part of the building concept, because they create a high space and workplace quality. The community center in Gilching is located within sight of the pedestrian zone and houses a library, the municipal administration, together with multifunction and event rooms. Since its completion, the transparent building complex has been an real enrichment for the town centre. It represents a new, central and popular destination for the citizens. Glass, warm colours and wooden surfaces create light flooded and inviting interiors. 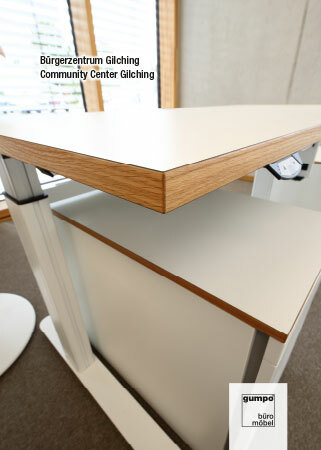 The individually adjustable sitting/standing desks in the offices further contribute to a high workplace quality. 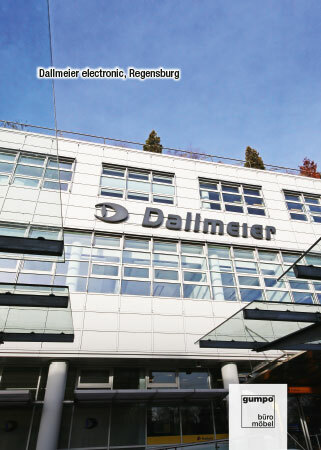 Dallmeier electronic is one of the world’s leading suppliers of network based video surveillance systems. Whether it is for banks, casinos, airports or football stadiums: The technical solutions from Dallmeier are being used everywhere. The Regensburg-based company – a model among Germany’s medium-sized companies – whose products are in demand all around the world, undoubtedly belongs to the so-called Hidden Champions. The company’s continuous growth led to the decision to acquire a building complex near the Regensburg main station which had previously been rented. Office spaces and conference rooms could thus be completely renovated and equipped with new office furniture based on the company’s own ideas. The fact that the decision for office furniture suppliers was taken in favour of traditional Bavarian companies is typical for this internationally thinking company – whilst at the same time staying deeply rooted in Eastern Bavaria. 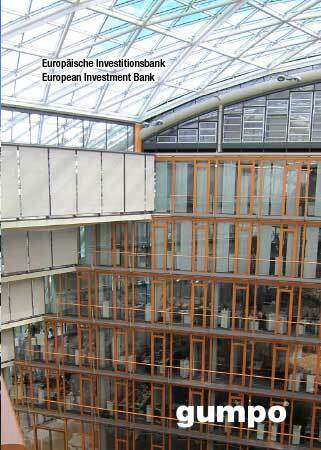 The European Investment Bank is the bank of the European Union. Founded in 1958, its task is the financing of pioneering infrastructure and environmental projects throughout the world and of innovative projects in the private sector. The EIB has its headquarters in Luxembourg and employs 2,000 people worldwide.